Christian Baudis is a renowned digital media and GreenTech entrepreneur, including being the former Managing Director of Google Germany. He has built several European start-ups successfully. Most recently in 2010 he founded his own green-tech venture Vivablu.org, which invests in early stage, innovative, green, and sustainable technology start-ups in Europe. From 2011-13, he built three European country organisations for major AOL subsidiaries from scratch, and helped to re-launch the AOL brand in Europe. In 2008 Baudis founded and managed Tremor Video, a leading provider of online advertising for video portals, building the worldwide market leader in online video advertising. From 2006-08 he ran the German operations of Google, doubling revenues and profits every year, and introducing major product releases to the German speaking markets. In 2003 he founded and was managing director of El Cartel Media, successfully building the advertising sales and merchandising unit of RTL2 and other stations. In 2000 he became the Executive Chairman of the teleshopping channel HSE24 AG. 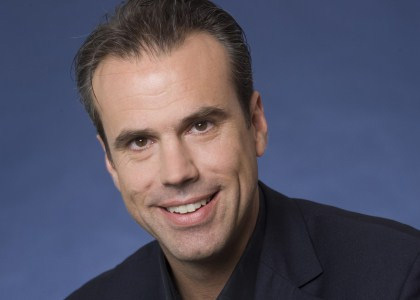 Prior to that, he worked as an international key account manager at DHL for several years and in 1997 took on the role of Managing Director of sales and marketing at ProSiebenSat.1 Media AG.